The solvent trap adapters comes in different thread sizes. 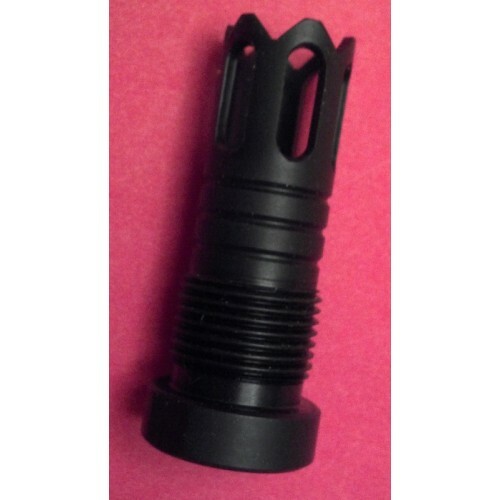 This solvent trap adapter has AR15 size threads, which are 1/2x28 right hand threads. It will fit any caliber gun that is threaded 1/2x28. This solvent trap is made of steel, black in color and the shape is like a muzzlebreak/flashhider and made in the USA.